1. What are bumps on elbows? 2. What causes bumps on elbows? 3. How to deal with bumps on elbows? “Hello there, recently I have itchy bumps on elbows which make me quite worried. The bumps appear on the outer side of my elbows. They are small, close to each other and very itchy but they are not red at all. The image resembles the goose-bumps. “Hi, I am 15 years old. I’m a male. I have itchy red bumps on elbows, both left side and right side at the same time about a week ago. The bumps almost look like blisters or mosquito bites. If you are going through the same problems, this is the article for you. Bumps on elbows are not a typical symptom of one or certain diseases but a sign of a variety of conditions. It can be related to not only dermatological diseases but also systemic diseases. So my article will give you an overview of all of the most common causes leading to bumps on elbows, as well as appropriate treatment and attitude in each case. What are bumps on elbows? Bumps on elbows are abnormal nodules that appear in the skin at the elbow’s outer surface. It is merely a symptom of many conditions. Like a fever, the pharse “bumps on elbows” itself does not say anything. We need to know more details about its features to have further diagnostic orientation. Due to different underlying causes, the symptoms of these bumps are very various. However, I would like to form the symptoms of bumps on elbows in groups of number and size, color, irritation, feature, and the arrangement. Following I have also inserted some pictures to illustrate the appearance of the bumps. The number of bumps on elbows can vary from one to many. The size also ranges from very tiny to very large. It can be one big bump on one elbow or several small bumps on elbows. Sometimes the bumps might be so tiny that they are easily mistaken for one skin rash. But after looking very closely, we realize that the rash consists of an uncountable number of tiny bumps clumped together. The bumps on elbows can be red or pinkish-red or skin-colored. However, in some cases, the color of the bumps may not stay the same but changes over time. For example from bright red to dark red or greenish-purple to yellow. Most of the time, they are active bumps and should be monitored closely. The bumps on elbows might be very itchy or not itchy at all. However, no matter how itchy the bumps on elbows are, remember not to scratch them. To scrub itchy bumps by your bare hands might lead to the secondary infections that can worsen the situation. Besides, the bumps on elbows can swell and painful sometimes, especially to the large bumps or when you move the elbow. This might be very irritating that interrupts your work and daily routines. It is the symptom to be complaint the most in clinical practice and it is the primary reason for people to see a doctor. The bumps on elbows can be rough spots which are prominent on the surface of the skin or may be tender blisters that contain fluid, or they can be flat lesions as well. Besides, by the progression of time or through the course of treatment, bumps on elbows may be deformed. For example, the bumps may be broken or become scaly or have scratches, etc. There are many ways that the bumps on elbows form together. They can arrange themselves to stripes, circles, spirals or into clusters… Along with the shape of the arrangement, the density of bumps should also be described as high, medium or low. Above are the common characteristics of many types of bumps on elbows. However, due to different causes, the symptoms of bumps on elbows can vary as well. For particularly, there may be additional features such as pus, inflammation, bad smell….. Although bumps on elbows are not likely to happen very often, it can develop in anyone, regardless gender, race or age. If you or your beloved ones are facing these bumps, it is better to spend some time to observe and learn about them. By that, you will know when those bumps on elbows need to be examined by a doctor. What causes bumps on elbows? In this part, I would like go through the most common causes leading to bumps on elbows, so that you will have the overview of what is truly happening to your elbows and your body. In some situations, you are completely capable of self-treatment at home with some home remedies. For other cases, they are more complicated. You will need to see a doctor for a closer examination, and the bumps on elbows may require a course of treatment under the supervision of a specialist. This is going to be discussed carefully in the following parts of the article. It is a group of skin condition which is resulted from infection. The pathogenic agent can be virus, bacteria or fungus. As this is a very broad cause, the symptom of bumps on elbows for this type ranges vary widely. Other sayings, the symptom can be anything. It can be red bumps on elbows, painful bumps on elbows, tiny bumps on elbows, raised bumps on elbows, large bumps on elbows, etc. The viral infections can affect a local area of your body, including the elbows and causes red, tiny bumps on elbows. Sometimes it can be fluid-filled blisters or inflammation rashes. If this is the cause, it can last for several days and then go away on its own. All you need to do is to keep the affected area clean and airy. For fungal infections, the most common type among fungal dermatological diseases is Tinea, widely known as ringworm. Its lesion image is described as flat, red, scaly, circular bumps with a distinct boundary around, differentiate them to the remaining normal area of skin. I have discussed very clearly about symptoms, diagnosis, and treatment of the condition in my last article: HOW TO GET RID OF RINGWORM: CAUSES, SYMPTOMS, AND TREATMENTS. Abscesses are the most common bacterial infection for bumps on elbows. It is the accumulation of pus that has built up within the tissue of the body. The symptom of abscesses usually consists of four typical signs: swelling, heat, redness, and pain. It appears as swollen, pus-filled painful bumps under the skin. You may feel fluid-filled when pressing on the bump. The bump can be accompanied by some systemic symptoms such as fever or chills. Besides, there is a special type called boils. Like abscesses, boils have the same symptoms. However, boils are likely to develop on sites of an infected hair follicle. It is the combination of hair, sweat, and friction. Over time, the bump will be filled up with pus, becomes bigger and painful. A small abscess and boil can drain naturally or simply shrink, dry up and heal on their own without treatment. The larger one will need medical intervention with antibiotics and surgeries. It is a group of skin conditions which are resulted from inflammation. The typical characteristic of this condition is itchy and red skin rashes. Children are more likely to get eczema than adults. However, adults can still get it sometimes. In the short-term condition, these rashes may be in the form of blisters while long-term condition may lead to the skin thickening. The exact cause of dermatitis is often unclear. In general, it is presumed to be the combination of genetic factors and environmental factors. It is pointed out that the cause of asthma, eczema, and other allergic diseases are due to the exposure to allergic factors in the environment, most commonly from the house dust mites. Beside environmental factors, the scientists have found a number of genes which have related to eczema, such as OVOL1, ACTL9, and IL4-KIF3A. People who have these genes in their genome are more likely to develop eczema than others. That is also the reason why eczema is considered as a hereditary skin condition . Diagnosis of eczema is mostly based on the history and physical examination. In uncertain cases, a skin biopsy may be useful. There are several types of dermatitis. The most common ones are atopic dermatitis and contact dermatitis. Many people use the term dermatitis and eczema synonymously, while others use the term eczema to specifically mean atopic dermatitis. Atopic dermatitis is also known as atopic eczema. In some languages, dermatitis and eczema mean are the same, while in other languages, dermatitis implies an acute condition and eczema implies a chronic one. Atopic dermatitis, also called eczema, is an allergic disease which is believed to run in families whose members have asthma, eczema, or hay fever. Atopic dermatitis usually starts during infancy or childhood. But it can strike people at any age. This disease is very common in developed countries and keeps rising every year. Currently, there is no cure for atopic eczema. But the available treatments with moisturizers and steroid creams can help relieve symptoms and reducing the severity over times. Itchy: the itchiness can be intense. It is the most typical symptom of atopic dermatitis. The damage to the skin during eczema is often due to scratching. Scaly: the surface of the skin can flake off, giving the skin a rough, scaly appearance. Red: the affected skin may bleed and appear blotchy. Depending on the cause, eczema may flare up and cause severe symptoms. But it can also become a chronic problem with less intense symptoms. Chronic lesions are patches of chronically itchy, dry and thickened skin. If scratched, dry patches of skin and open sores with crust may develop and get infected. Over time, scratching causes the skin becomes thicker and redder. Besides, the irritants that can make symptoms of atopic dermatitis worse include soap, rough clothing, household chemicals, foods, dust mites, and other allergy triggers. This type of dermatitis usually develops after a substance damages the skin. People can develop contact dermatitis even if they don’t have atopic dermatitis. Contact dermatitis consists of two types: allergic contact dermatitis and irritant contact dermatitis. Allergic type is the result of a late reaction to an allergen, such as poison ivy, nickel; while irritant type is the direct reaction to a detergent, such as sodium laureth sulfate, an anionic detergent contained in many personal care products (shampoos, soaps, toothpaste…). Several substances can be both allergen and irritant . About 75% of people with contact dermatitis belong to irritant type, make it the most frequent occupational skin condition. Irritant contact dermatitis is sometimes misdiagnosed as atopic dermatitis. Contact dermatitis is able to be cured by avoiding the offending substance and removing its trace from the environment. According to researchers from Salisbury University, contact dermatitis is common around the elbows and knees. Like other parts of your skin, the elbows enjoy the dry and airy environment. When wearing a short sleeve or sleeveless shirt, your elbows come into contact with many different substances during the day. As a result, the elbows are more likely to develop an allergic reaction, which causes hives and make the skin swell and itchy, from a few hours to few days and weeks. Usually, the skin bumps on elbows caused by hives are between one to three centimeters. Knowing what triggers hives is quite difficult. Some possible causes of allergic bumps on elbows are foods, infections, stress, and anxiety. Contact dermatitis is typically treated by avoiding the allergen or irritant. In overall, dermatitis was estimated to affect 245 million people globally in 2015. Atopic dermatitis is the most common type and generally starts in childhood. In The United States, it affects about 10-30% of the population. Contact dermatitis is as twice as common in females than males. Allergic contact dermatitis affects about 7% of people at some point in time. Irritant contact dermatitis is common, especially among people who do certain jobs; however exact rates are unclear . Another familiar cause of bumps on elbows is psoriasis, a common skin disorder, occurs in all ages, all races and anywhere. So what is it exactly? In psoriasis, there is a mechanism that speeds up the life cycle of skin cells. The cells of affected skin areas build up rapidly on the surface. These overproduction skin cells then partly slough off and form red, scaly patches. The lesion can be very itchy and sometimes painful. There are white, dry, easy-to-peel scales which stack on top of each other. When removing all these layers, the bright red skin is revealed. The focal location is mostly on the back, the elbows, the knees, the scalp, and usually on both sides of the body. The size of lesion varies from 0.5 to 10 centimeters in diameter. Despite a long history of studying, the cause of this disease has remained unclear. However, genetic and autoimmune factors have been believed to play main roles in the disease. These days, the onset immunodeficiency is mentioned as well. Psoriasis tends to become chronic, which means it often comes and goes. So far, there is no cure for psoriasis. The main goal of treatment is to stop the skin cells from growing so quickly and reduce the symptoms. Although the cause of the disease is unclear, many factors which play the supporting role in promoting the progression of the disease have been identified. Understanding about this will help you adjust your lifestyle to support the treatment. These factors are proven to trigger the outbreaks or make the symptoms worse. So what you should do is to avoid them as much as possible to improve the condition. Bumps on elbows are not merely a skin condition; they can be a sign of systemic disease sometimes, in which dermatitis herpetiformis is mentioned the most often. Dermatitis herpetiformis, also called Duhring’s disease, is a chronic dermatological condition. Its symptom is clusters of itchy, small blisters and bumps, mostly on the elbows, lower back, buttocks, knees, and back of the head with severe burning and itching sensation. So what is the cause of dermatitis herpetiformis? By reading its name, you might think it is herpes virus to be blamed for this condition. However, herpes does not cause dermatitis herpetiformis. It is a result of the autoimmune disorder of the gluten intolerance actually . Gluten is one of the proteins of wheat, rye, and barley. Sometimes it is found in oats that have been processed as well. If you have dermatitis herpetiformis and eat foods contain gluten, your body produces an antibody called IgA to attack gluten by forming a structure to lock the protein, which at the same time, damages the intestines as well. The structure formed by IgA and gluten later circulates in the bloodstream, where they block tiny blood vessels, especially the ones under the skin, causing the itchy, blistery bumps on elbows and other parts of the body as we said earlier . The most common age at first onset is usually between 15 and 40 years old. But still, there are possibilities that children and the elderly develop this disease. The incidence in men and women are the same. This sensitivity to gluten usually runs in families. Dermatitis herpetiformis has a close relationship with celiac disease. The connection was recognized in 1967 although the mechanism has remained unknown. Celiac disease can cause severe digestive symptoms such as intense abdominal pain, constipation, nausea and heavy vomiting. It has been shown that about 15 to 25% people have celiac disease also develop dermatitis herpetiformis . Most of the time, people with dermatitis herpetiformis do not show any intestinal symptoms. However, it does not mean they are not experiencing the damage. When IgA locks gluten, their complex tends to damage the parts that function to absorb vitamins and nutrients. The damage leads to the constant inflammation of the intestine, put people with untreated dermatitis herpetiformis and celiac disease at higher risk of developing intestinal cancer. Besides, the disruption of intestinal absorption can also lead to the vitamin deficiencies and anemia as the nutrients are not absorbed properly. According to the NFCA (National Foundation for Celiac Awareness), more than 80% of people with dermatitis herpetiformis have silent intestinal symptoms, especially for the ones who have the diet of high gluten consumption . Until now, the prevention of dermatitis herpetiformis has not been found. What we can do is to prevent the complications by strictly following a gluten-free diet and medications which will be mentioned in following parts of the article. If you are facing relentless itchy watery bumps on skin area around elbows, scabies mites might be the root cause of all those bumps on elbows. Scabies is a highly contagious skin condition; it can easily pass from one person to another through physical contact, regardless ages, genders, and races. When the mites live on our skin, they tend to burrow under the skin surface to form tunnels. This activity causes severe itching and red bumps on the skin of affected areas where the mites have burrowed. The itchiness usually becomes more intense at night as it is the most active time of the mites. Prescription medications are the standard treatment for scabies. However, there are several natural remedies which support the treatment very effectively as well. These remedies are going to be mentioned in the later part of the article. If you are having one large bump on one of your elbows, it can be a condition called olecranon bursitis. The condition is characterized by the pain, redness and swelling around the olecranon which is caused by the inflammation of the elbow’s bursa. A bursa is a slippery sac of fluid which acts as a cushion between the bone and soft tissues, for example, the muscles, tendons, and ligaments. Its mission is to reduce friction between the bone and its surrounding tissues when we make the movements, in order to avoid unnecessary damage to the soft tissues and the bone caused by the movements. Because of that, the bursa is found throughout the body. Normally you do not notice the presence of bursa as it is very thin, flat and fit to the shape of your bone. However, when it is inflamed or injured, the bursa can get swollen and become very irritating. If the swelling is serious, a lump could form and jut out from the tip. This resembles a very popular cartoon character, Popeye. That is why olecranon bursitis is sometimes called Popeye’s elbows. So what causes Olecranon Bursitis? There are three most common causes leading to this condition, which are trauma, long-time pressure, and infection. A sudden sharp impact on the elbow can cause the bursa to swell, for example when you accidentally hit your elbow hard on the wall or on the ground, or a heavy object falls on your elbow. This case tends to occur in occupational accidents. Besides, any long-time continuous pressure on your elbows can possibly lead to the swelling of bursa as well. The pressure may be low, but its continuous effect can lead to the micro – injury in the elbow joint. As a result, the bursa might be inflamed and swelling. The athletes are more likely to suffer this situation as they have to practice every day. Also, this case happens quite often in certain occupations such as plumbers and air-conditioning technicians, in which they have to work on the elbows with the high frequency. Lastly, any infection from a cut, insect bite, or scrape affects the bursa is able to cause the sac to fill up with extra fluid, turn red and swell. The purpose of treatment for olecranon bursitis is about eliminating the cause and easing the discomfort. You will be required to protect the affected elbow, avoid any activity that put pressure on the elbow and take several medications if needed, such as the antibiotics for infection or over-the-counter NSAIDs. The intake of these medicines must be under the guidance and supervision of a doctor . So, we have gone a long way through the most common causes of bumps on elbows. At this point, I bet you are feeling quite confused about all the information, just like being lost in the maze. Let me help you see the overall picture clearer with the table below. Psoriasis Red, scaly patches of the round, oval or multiple-arc shaped bumps, scaly and clear boundaries to healthy skin. How to deal with bumps on elbows? Sometimes different causes can lead to the bumps on elbows with the similar symptoms. However, the treatment for these cases is never the same. Wrong treatment is not only ineffective but also worsen the situation. The earlier parts of this article have provided an overview of the causes for you to be able to make a preliminary diagnosis of the situation. The following parts will help you identify the appropriate management to your bumps on elbows, when to treat the bumps at home and when to see a doctor? If you are thinking of atopic dermatitis (also called eczema), psoriasis, dermatitis herpetiformis as the cause of your bumps on elbows; it is a must to have them examined by a doctor, preferably a dermatologist. Because all of these cases tend to become chronic and require early diagnosis, as well as appropriate long-term management. With expert knowledge and specific tests (such as skin biopsy, blood tests, direct immunofluorescence test…. ), the doctor is capable of giving you the exact diagnosis and treatment. Remember that the sooner you find out the cause, the sooner you can access the proper care and the better your symptoms will be improved. For your reference, let’s have a brief discussion on how the doctor can help you deal with the three cases above. Firstly, for atopic dermatitis or eczema, as the cure has not been found, the ultimate goal of treatment so far is to control the symptoms such as to reduce the inflammation and irritation, relieve the itchiness, and minimize the outbreak of this disease. For mild eczema, all doctor may ask you is to take good skin care of your elbows and keep the affected areas be moisturized. However, if your eczema is severe, the doctor might prescribe several medicines for you, including hydrocortisone, antihistamine, high – potency corticosteroids, ultraviolet light therapy . 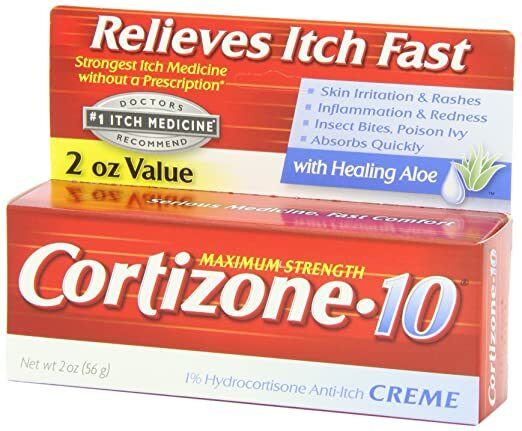 While hydrocortisone is usually used as the OTC (over-the-counter) anti-itch topical cream or ointment, high – potency corticosteroids are prescription drugs as they are used if only other treatments do not work out. In more serious cases, these corticosteroids can be taken as oral or inject administration. Though the improvement brought by this medication is quick and impressive, the side effects it brings cannot be ignored; highlights are steroid-induced osteoporosis, gastrointestinal bleeding, immunodeficiency…. That’s why the intake of corticosteroids must be supervised closely by a doctor and the dosage must be strictly followed his/her prescription. Ultraviolet light therapy has tentative support but the evidence of its effectiveness has not been significantly persuasive. Different types of light including UVA and UVB might be used equally. Sometimes in treatment, light sensitive chemicals such as psoralen are also used. However, overexposure to ultraviolet light carries its own risks; highlight is the skin cancer. Like eczema, until now there is no cure for psoriasis. Thus, the goal of treatment for psoriasis is quite similar to eczema. Topical treatments for psoriasis is the same as eczema too. The main goal is to keep the affected skin moisturized by applying OTC creams and ointments, and ultraviolet light therapy. However, for severe psoriasis which requires systemic treatment, the medications are different from eczema. In psoriasis, oral corticosteroids should not be used because they can severely flare psoriasis once the dosage is over. Systemic treatment for psoriasis is separated into two main categories: systemic biologic and non–biologic treatments . Non-biologic systemic treatments which are commonly used to treat psoriasis are methotrexate, hydroxycarbamide, ciclosporin, fumarates such as dimethyl fumarate and retinoids. Methotrexate and ciclosporin’s effect is to block out the immune system. Retinoids are an artificial formulation of vitamin A. These medications are recommended as the first-line in psoriasis treatment. Biologics are synthetic proteins that interrupt the immune system in psoriasis. Unlike non – biologics, these proteins target specific factors of the immune system which contribute to psoriasis. In overall, these medications are well – absorbed and are demonstrated to be safe for long-term use for psoriasis from moderate to severe. But because of the immunosuppressive effects, biologics are associated with an increased risk of infection. For dermatitis herpetiformis, dapsone is a powerful antibiotic to treat dermatitis herpetiformis very effectively. However, along with the intake of this medicine is a lot of serious side effects. Many people have to face liver problems, muscle weakness, anemia, sensitivity to sunlight, peripheral neuropathy even after being relieved from taking dapsone . The dosage of dapsone intake must be increased slowly over months before it is fully effective and must be supervised strictly by a healthcare specialist. A strict gluten-free diet is acknowledged as the most effective treatment for dermatitis herpetiformis that is free of side effects. It means that you must completely avoid foods, drinks, or any products contain wheat, rye, barley, oats. Thought it is difficult to follow, the diet has shown its remarkable improvement for the condition, especially for people with celiac disease. Any reduction in gluten intake will help lessen the amount of medication to take and reduce the damage to the intestines. Evolving: a skin lesion or bump that looks different from the others or is abnormally changing in shape, size and color. Not every skin damage with all these characteristics are definitely skin cancer. However, it is a must to set an appointment with your doctor if the bumps possess these six features above. Again, with expert knowledge and specific tests, he/she is capable of giving you the exact diagnosis and treatment. For remaining conditions, you can try to treat the bumps at home. In any situation, good skin care is very important. Sometimes it is the only treatment you need, along with some changes in your routines. Moisturizing agents (also known as emollients) are recommended to apply on the affected skin at least once or twice a day. Oilier formulations are considered to be the better choice. Water-based formulations are not recommended. 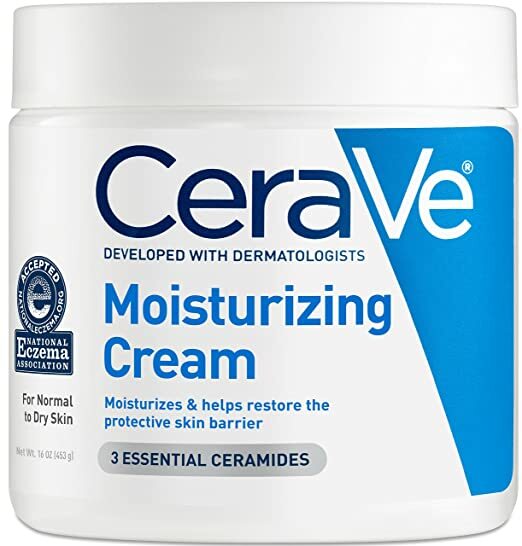 It is unclear if moisturizers that contain ceramides are more or less effective than others. In case of inflammation, you may need the intervention of NSAIDs. This is over – the – counter (OTC) medication which you can easily buy at any drug stores without a prescription. It is also known as painkillers. The most common NSAIDs are acid salicylic, aspirin, naproxen, and ibuprofen. In general, their effects are quite similar. NSAIDs directly block effects of prostaglandins, the main component of the inflammatory response. This medication can be taken by oral or injection. 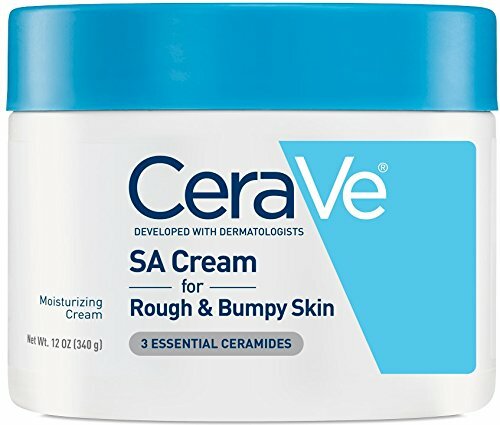 However, for bumps on elbows, the most appropriate use is as topical cream. The typical representative of this group is hydrocortisone. As mentioned earlier, hydrocortisone is usually used as the OTC (over-the-counter) anti-itch topical cream or ointment. The steroid creams should generally be of mid- to high strength and used for less than two weeks at a time as side effects can occur. Home remedies for skin bumps on elbows may be as simple as changing your laundry detergent or fabric softener. Most of the remedies are familiar ingredients which can be easily found in your kitchen or at a local organic store such as tea tree oil, coconut oil, aloe vera. Most of these remedies act as a moisturizer. However, it is better to consult a dermatologist for the most suitable remedy for your skin. By applying tea tree oil to the affected skin, you can also help to reduce swelling, redness, and inflamed skin around your elbow. The British Journal of Dermatology reported that tea tree oil helps to reduce histamine-induced skin inflammation. 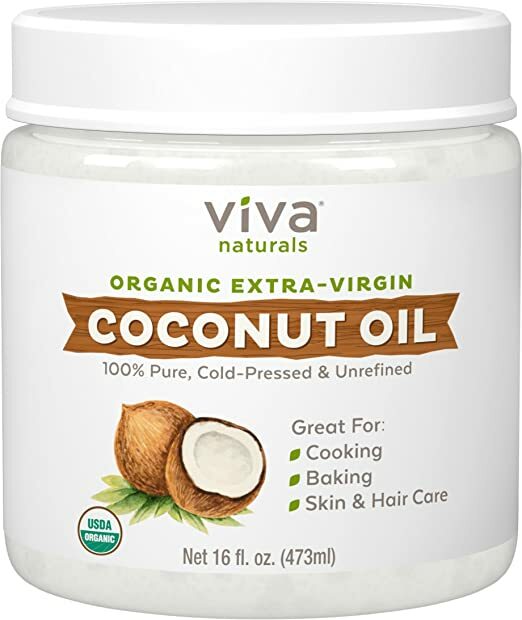 As mentioned by journal Dermatitis, coconut oil has antibacterial properties that also moisturize and soothe the lesions. It was found that applying coconut oil to skin affected by eczema can also help to prevent secondary skin infections. The gel of this plant can be applied directly to the affected skin to get rid of bumps on elbows. It also reduces redness and inflammation. The gel has anti-inflammatory and antibacterial properties. Use enough gel to cover the area. If the bumps on elbows do not respond to the home treatment within seven to ten days, it’s time for you to set an appointment with a doctor. Or if the situation becomes worse such as a numerous increasing of painful, small, fluid-filled blisters or if you develop yellow to light brown crust or pus-filled blisters over existing bumps on elbows. This may indicate a bacterial infection that should be treated with an antibiotic. Again, bumps on elbows are merely a symptom of many conditions. Treatment of atopic dermatitis is typical with moisturizers and steroid creams. Antibiotics may be required if there are signs of skin infection. Contact dermatitis is typically treated by avoiding the allergen or irritant. Antihistamines may help with sleep and to decrease nighttime scratching. The medical interventions are not the same in different cases. However, to provide the bumps on elbows good skin care is the fundamental condition for the treatment to take the best effect. Also, remember to track all the changes of the bumps and do not hesitate to check with a doctor if you have any concern.